Kirill Tiufanov is Sr. Director of Product, Glispa. Kirill Tiufanov is Sr. Director of Product, Glispa. He brings over ten years of experience in marketing operations to the position. Before joining Glispa, he co-founded and was CEO of MoneyTap, the mobile ad mediation company acquired by Glispa and incorporated into Glispa’s own technology suite to create ad mediation platform Ampiri. Before founding MoneyTap, Kirill headed up Marketing Operations at i-Free Innovations, where he was responsible for mobile and online marketing as well as sales. The global app economy continues to grow, with App Annie predicting it to double in size by 2020, to $101 billion. Growth is accelerating, especially in the non-gaming sector. More and more people are making their money from apps, and yet around 80% of apps are offered for free. These apps rely on advertising to monetize and earn a return for the individuals and companies who developed them. So, when starting out, a lot of app developers who decide their app through ads ask themselves, what are my users worth? Can I improve the traffic within my app, my user base, to earn higher payouts? Much like mining for gold, if you want to maximize the return on your app, you need to refine what you dig out of the ground and move it along the value chain. To improve the value of your app’s traffic, the key lies in a holistic approach, which considers the full cycle from user acquisition to monetization. Acquiring high quality users and optimizing the app to ensure good retention rates is where to start seeking out gold. Once you have the users, you can begin to adjust your monetization strategy, and dramatically increase the value of the traffic in your app. App monetization can only effectively be pursued through programmatic means, and essential for this is a sizeable, engaged user community. The demand-side platforms (DSPs) and programmatic exchanges which offer the highest payouts want to assure their advertising clients that their ads will reach high-quality users. That’s why they are the most selective when it comes to high-quality traffic, and why the first step to monetization is user acquisition. 1. Mining for gold in the right place: Are you attracting the right type of users? The days where you wanted as many users, regardless of quality, in your app, are over. Just like mining companies don’t dig for gold just anywhere, you need to invest time to ensure you’re digging in the right place. To attract the right users, those who will engage with your app, you should start by identifying personas. In setting these up, be specific. Relying on simple demographics like name and gender means you won’t be able to provide a compelling user experience, or relevant ads, because you don’t know your users well enough. Consider their behaviour in-app, what other apps they might like, how much time they spend in your app and in others. Finding people who fit these personas is possible using a data-driven approach and a data management platform (DMP), which sets up audience profiles based on personas from a mix of first and third party data. These personas predict who is more likely to engage with your app, which is enormously helpful in getting an app in front of the right audience. 2. Refining your gold: have you optimized your app to ensure maximum engagement? Once you have active users in your app, it’s time to figure out if you have the right process in place to refine your traffic. Extracting gold from rock is a challenge: as is retaining even high- quality users. You need to figure out what works for your users and what doesn’t. When it comes to showing ads to the users in your app, it’s important to not only consider what ad you are showing them, but also when you show it to them. Figure out when your users are most likely to be responsive to an ad. This varies according to the app’s design and purpose, but some generalizations can be drawn according to the app’s vertical. For example, a transport app could display an ad while it is loading results for what the user searched for, while a news app is able to place native content within its content feed. Native ads – unobtrusive ads which blend in with the app’s design and user flow – are driving the future of advertising. According to a study conducted by Facebook’s Audience Network, Asia Pacific will record the largest increase in native advertising spend in the next five years at a 177% compound annual growth rate between 2015 and 2020. The key is to properly understand the way your users move around in your app, and display ads to them at the right time. Tuning your monetization logic in this way is a proactive approach which ensures that you use the formats that your users respond to best. 3. Improving your gold’s value: are you showing relevant ads? After striking gold and refining it to its pure form, you need to combine it with other metals to enhance its value for different purposes. Your traffic on its own is valuable, but enhancing it using data is what earns you the biggest payouts. Once you’ve acquired engaged users in your app and you’re showing them ads at the right time, you need users to actually click on these ads if you want to earn payouts from them. In order for this to happen, you must enrich your traffic with data to ensure that your users are being shown the kinds of ads they would want to engage with. Choosing a provider who is able to deliver actionable insights, and segmentation which allows for real-time optimization, is essential here. Mediation solutions and programmatic exchanges, which monetize publishers’ apps according to algorithmic buying, should have deep segmentation capabilities so that they are able to determine demographic information on users in real time, in order to show them more relevant ads. For example, the app user’s gender, age and location allows for advanced targeting which serves them ads that are most relevant for them, while data on their behaviour in your app and in others makes for a much more targeted approach – enhancing the LTV of your users. 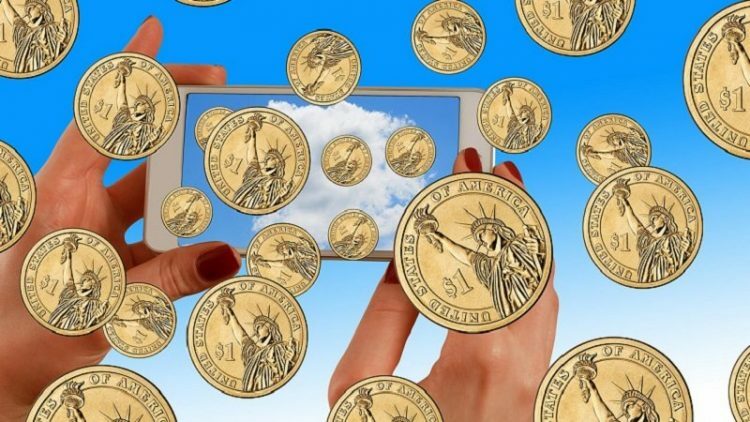 Getting your app to monetize successfully requires a strategic approach. The best payouts come from having the highest quality users, and this is a process which starts with top-notch user acquisition. However, once you’ve struck gold, with a bit of work you can enhance the value of what you’ve got. Follow through by continuously testing your app and paying attention to user flows, while making use of advanced targeting capabilities. An engaged community is worth its weight in gold: this will not only give your app users the best possible experience, it will also give you the leverage you need to demand the best price for your valuable traffic on any premium programmatic exchange.